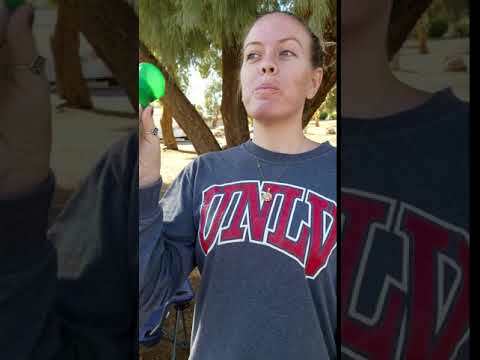 Couldn't find a spot in 2 other campgrounds around Las Vegas Valley so decided to try Boulder beach and must say we were delighted and suprized! Wonderfully beautiful campground with super clean restrooms! Watched the super moon! Perfect night! Awesome parking spaces roads are wide easy to maneuver with even a big Class A bathrooms are clean dog friendly and the host is really a nice person. The first trip to Lake Mead Recreation Area we went to explore a little. Knowing that the Railroad Tunnel Trail is right at the entrance we had already decided we wanted to keep it close because we wanted to do that trail before we left so we didn't want to get overly consumed with getting to deep. We opted to check out the closest campground to this entry station, Boulder Beach Campground. When we first entered we expected it to be right by the marina based on the description of what we were told, but it was not. We continued onward only to notice that the sites were about a half mile out from the actual water, not a real beach campground. The sites ranged in upkeep from nicer to not so nice and sadly the nicer were further from the waterline than the not so nice. It looked like the typical crowd of people who would set up along the shore were the same kind of campers you don't really want camping around you, those who come in party and leave their trash. Sites are $20 no matter the location but it really looked like the sites closest to the "beach" were used more for day use than overnight and it didn't look like there was anything really stopping them from doing so. So the positives of this campground though are still enough to have you wanting to stop in if you are trying to enjoy the overall recreation area and have a basecamp. Potable water, WIFI, well maintained restrooms, close to numerous hiking areas and also very close to the Visitor Center where you can get maps and information about the area. Choose the sites a bit further from the water, sure it isn't beachfront but even those closer are not really front and center so save yourself the trouble of potentially having some not so great neighbors. Check out the Hoover Dam only a couple exits up from this entrance station you can find the dam where they have tours and some of the most interesting history of the area. Venture into town and check out the Clark County Museum, stay out of the bright lights of the strip and have a more unique to the area experience. No showers, but otherwise a great space with lovely scenery. Pros: Boulder Beach was a reasonably priced and decently quiet campground with a wonderful view of Lake Mead. Most if not all of the sites had shade trees, which was also a plus. The campground had flush toilets, sinks, and potable water. Cons: No showers. I will never quite understand why a facility would choose to go to the effort of having flush toilets and sinks, but not go one extra step and install showers (even coin-op ones for revenue!). The only other con I can think of is that the boundaries between campsites were not quite clear? In the loop where my site was located, each site had a tent pad but there was no rhyme or reason as to where they were located. Basically, every site was designed differently, so I had no idea if I was in my neighbors site or not. It ended up working out, but i could see that being an issue if you have a grumpy neighbor. But at the end of the day, I'd stay here again if I was in the area! Beautiful old campground, with lake views from nearly every site. Original half was built by the The Civilian Conservation Corps (CCC) in 1939, with the additional half built in the 1960s. All sites are first come first serve, with tall trees, clean restrooms, water on tap, and friendly hosts. The "newer" side has been renovated in areas, along with the RV dump station area. Cell service and shopping nearby in Boulder City; great bike trail, River Mountains Loop Trail; short walk to the lakeshore. This product is promoted for improvements in your Health & Wellness (vitality), Aerobic Performance (go faster & farther), Altitude/Air Quality (I'll update my review this summer in higher altitudes), and Recovery (from fatigue & hangover, lol). I can't say I noticed any difference in any of these areas. Perhaps it will benefit me the most with higher altitude situations, since I can feel the shortness of breath in higher altitude environments. Overall, we felt this product was non-effective, and we would not recommend it or purchase it in the future. Boulder beach campground is pretty, but on weekends it is crowded. We like coming here for it's proximity to the pwc launching area. The sites are well kept, and there are some with plenty of shade. You can even find a few with views of the lake, which is great. Expensive sites but worth it to be so close to the Strip and still have the feel of camping on a gorgeous lake! 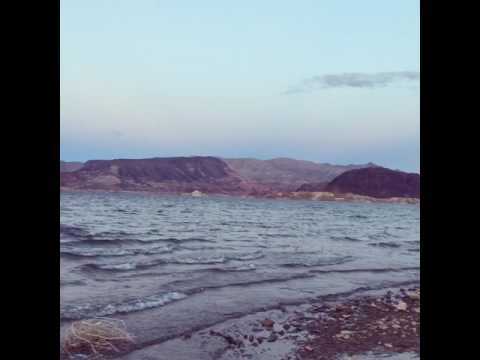 The lake is just outside of Las Vegas so it makes for a great last minute camping destination. My only complaint would be the price. $20 to get into the recreational area and another $20 for camping. There is water available at the campground along with bathrooms, fire pits and tables.. The campground itself is about a 10 minute walk from the lake. No great trails nearby, but great for family trips or a nice wavering by the fire. Get 20% off the ultimate recovery shoe.